For the second year in a row, the Centers for Medicare & Medicaid Services (CMS) is studying the burdens physicians face when they report quality measures to Medicare and is offering incentives to get their help. The CMS study is looking at clinical workflows and data collection methods using different submission systems. 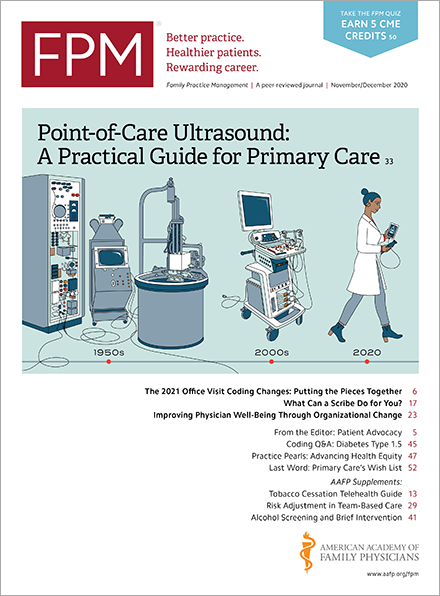 Researchers want to understand what challenges physicians have when collecting and reporting quality data so they can recommend changes to make it easier, improve the process, and enhance clinical care. If you or your group is eligible for the Merit-based Incentive Payment System (MIPS), you can apply to participate in the study. Successfully completing the study will earn you full credit for the 2019 MIPS Improvement Activities performance category. Your performance on MIPS in 2019 affects your payment under Medicare in 2021. Applicants do not need any outside knowledge of MIPS to participate in the study. In fact, CMS will also include a limited number of clinicians who aren’t eligible for MIPS in this year’s study. To check your MIPS participation status, please refer to the Quality Payment Program website(qpp.cms.gov). Meet minimum requirements for the MIPS Quality performance category by submitting data for at least three measures in the MIPS Quality performance category. If you report as part of a group, your entire group will earn credit. If you report as an individual, only you will earn credit. CMS will take applications for this study(www.surveygizmo.com) through April 30. You will be notified by email in May if you are selected. For more information about the study, please email MIPS_Study@abtassoc.com.